This time of year there are so many things to celebrate, today is St. Patrick’s Day, it is spring break and spring is right around the corner. But some would argue the most important thing to consider this time of year is March Madness! Predictions are being made and brackets are being filled out ….we are down to the wire as it all begins…TODAY! SO, I know you are wondering what in the world does this have to do with Pro Print of the Week? Well it just so happens that we had an adorable print that just screams March Madness! Congratulations Photography by Sabrina for capturing this awesome and time appropriate shot! 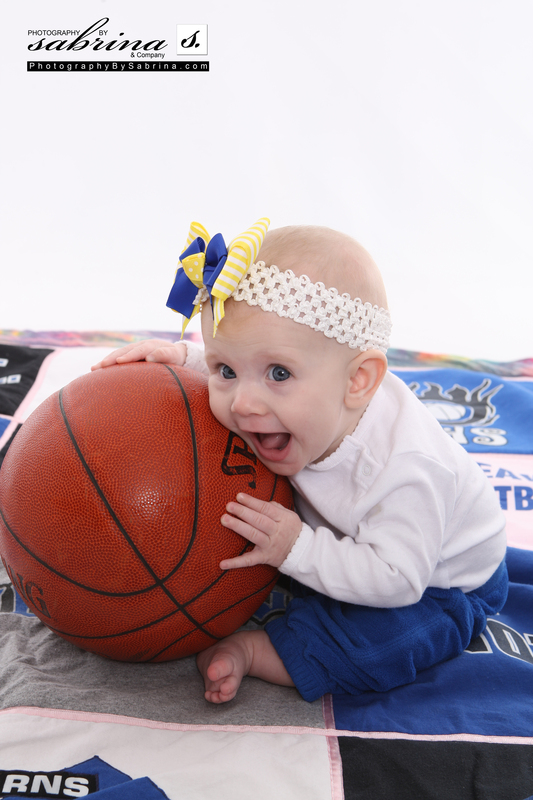 No doubt this little girl is already loving basketball! As you are all enjoying the best of the best fight it out for the ultimate win remember to take some time for the fun shots of all the “madness” around you! Until next week, happy shooting! 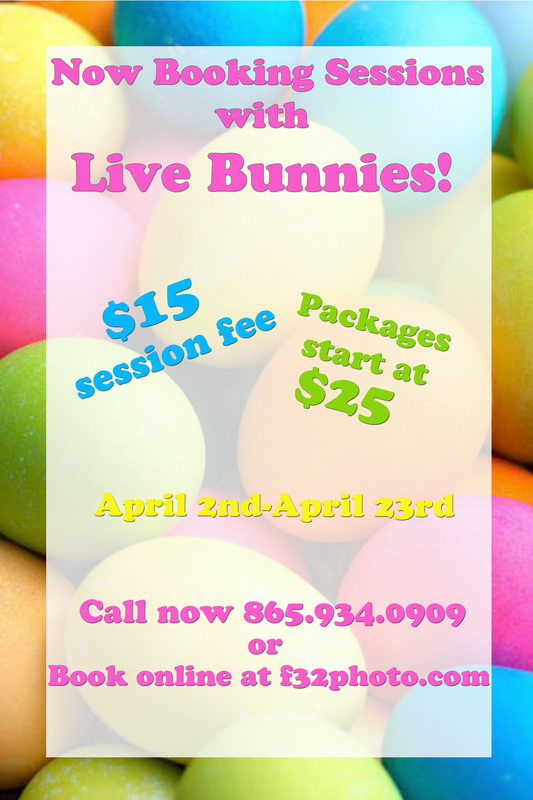 Don’t forget to book your session with our live Easter bunny! Details are located here! Labprints – Our new ordering system is live! It’s finally here! If you have been waiting for our new ordering system to go live, the time is now. Listed below are some guidelines for getting started with Labprints. It has a platform for both Mac and PC. We will still have our Labtricity and Dakis online ordering systems as well. 1. Download the free software for LP Digital Studio at www.labprints.com. When you click on the “download now” button, you will see a list of labs to choose from. Find f/32 in the list and click on “mac” or “pc” next to it depending upon your computer system. Once the software is downloaded, install the program. When you first open the installed program, you will be asked to register by creating an account. Fill out the requested information or log in if you already have an existing account. Visit www.labprints.com/website/support.php for online tutorials and a knowledge base with written directions for use of the software system. 2. Create a New Project – A project can be a portrait session, a wedding, an event, or any portion thereof that you choose. All images that you import into a project are displayed on the Light Table. Labprints uses low resolution files that are linked to the full resolution images. 3. The Light Table – This is where you can view all images in your project, sort them into files or groups, select images to be seen in a slideshow, compare images and rank them (yes, no, maybe). Click on “View” in the toolbar to determine which windows you would like to see open on your screen. The Filing/Grouping window is useful for sorting your images for different uses. You can add or remove groups. You can choose for all images to show on the light table at all times or only for selected groups of images to show. 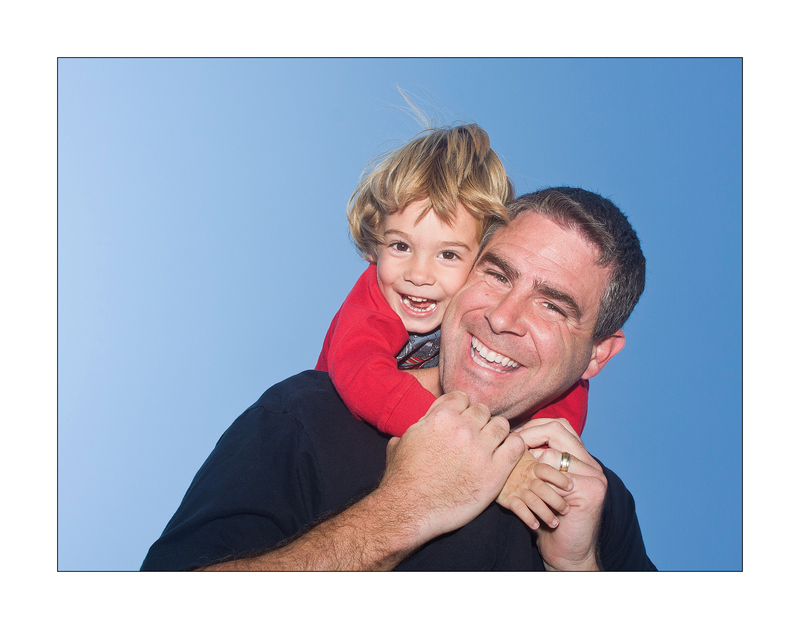 You can select only images you want to appear in a slideshow or use for projection. You can select images that you want to batch order for specific sizes, for example all 4×6’s for a proofbook. The “Compare” tool is useful for narrowing down image choices. You can show 1 to 6 images on the compare screen and can rank the images and/or trash them as you go. There is also a “Projection” tool that allows you to sell by projection. This tool is a demo for a limited time and can be purchased after the demo expires or anytime preceding that. There is also a “Toolbox”. This allows you to determine the sorting order of your images, rename your images, relink your images if you have moved the high resolution files, and print thumbnails of images in a project. In the main toolbar you will see a “Setup” option. By clicking on the Setup option, you can choose Preferences to set the default preferences of your Labprints software, choose Packages to create your own combination of prints and items into packages for ease of ordering, and choose Prices to create as many custom price lists as you choose. In the main toolbar, you will also see a “Tools” option. Under the Tools option is a Batch Order tool. This is useful for ordering multiples of the same size for different images. 4. The “Edit/Order” Tab – This is where you can order images a la carte, custom crop each image, export the image to a third party editor such as Photoshop and back into Labprints once edited, and add services to images ordered. The price list shown in the ordering menu is one of your choice, not the lab’s pricing menu. At the top of the price list you may choose to see All Products or constrain the list to Standard Products, Canvas, Proofbooks, etc. Images may be scrolled through individually from the Edit/Order screen. You may reach the Edit/Order screen from the Light Table by double clicking on any image in the project. 5. The “Invoicing” Tab – This is where you review the images you have ordered and send the order to f/32. From the Invoicing tab, click on “create lab order”. Fill in your studio information. For your first order, your account number should be 9999. Once we receive your first order, we will assign you a unique account number to use for the future. At this point, you can add order services. We have set “lab corrected” images as default. If you wish your images to be printed as “non-corrected”, you must select this option in the order services menu. If you choose any services in the add order services menu, your paper selections that you have chosen through the edit/order tab will be negated unless you select them again here. E Surface paper is set as default, so if you want E Surface paper (aka Lustre) you do not have to make a selection. If you wish to have your order drop shipped by f/32, click on the Drop Ship information button. If you do not currently have an account with f/32 Photo, we will contact you to set one up for this service. Once all services are selected, you may choose to upload your order via the Internet or to a cd. If uploading to the internet, the first time you will be prompted to enter a password. It is f32photo. 6. Storefront Tab – This is not required to use the Labprints ordering software, but if you are looking for an online hosting solution, Labprints offers several platforms for studios with and without merchant accounts. Their storefront option coordinates with the ordering software and allows you the option of having the orders automatically uploaded to f/32 or pulling the orders into Labprints, searching for the full resolution files, and allowing you to make edits before uploading the orders for printing. If you have any questions about f/32 Photo’s services or the Labprints ordering software, do not hesitate to contact us at 865-934-0909 or print@f32photo.com. If you would like for us to add any sizes or products to the ordering software, please let us know that as well. We look forward to working with you. Yesterday was an amazing, beautiful, springlike day in the land of East Tennessee and since Tabitha was holding down the fort at f/32, I (April) decided to head for the hills, literally. I was going hiking. I spend so much time beholding the beauty of creation from behind a computer screen that I figured it was time to get out and enjoy it in person. 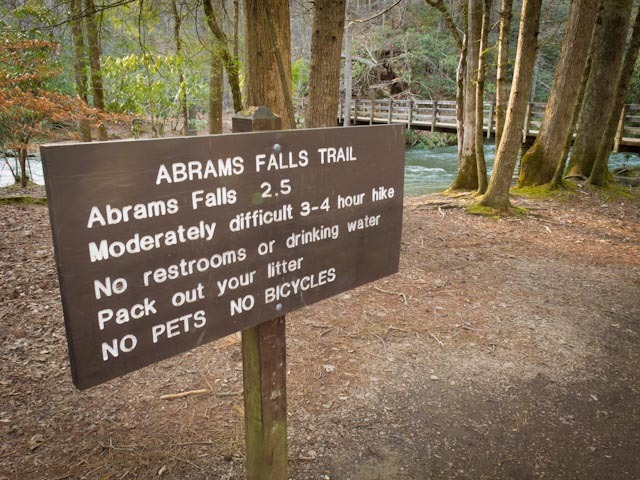 So, I packed my backpack and headed for Abrams Falls. Here’s my quandry when going on excursions such as these…what equipment should I take, and more importantly, what am I likely to actually be able to carry and make it to the end of the trail and back. Like most of you reading this, I lug around 5-8 pounds around my neck or shoulder on a regular basis, however, I’m usually not miles from my car or civilization. On the other hand, I have a difficult time expending all that energy on the journey and trying to capture the fruits of the labor with my cell phone camera (I could write another blog on this subject alone). 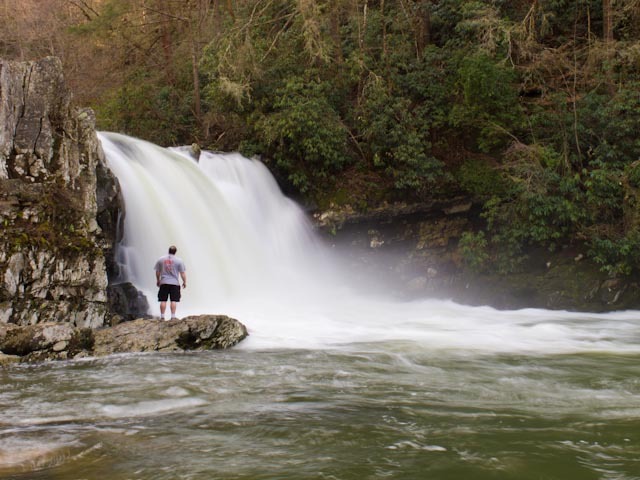 I know there is a beautiful waterfall at the end of this trail, so I know I’m going to need a tripod. My usual tripod is a Manfrotto Neotec. I LOVE it, but not to hike with. It’s aluminum and it’s HEAVY. The last time I attempted hiking a trail with all my gear on my back I made it about halfway to my destination and my blood sugar bottomed out, so I had to turn around and go back. I didn’t want a repeat of that excursion. Of course, in addition to camera gear, I had to bring snacks, a water bottle, my cell phone/ipod, a jacket, and a hat. I don’t travel lightly no matter where I go apparently. I’m not a regular hiker, so unlike Lisa, I didn’t have a snakebite kit with me:), but I was as prepared as I was going to get. 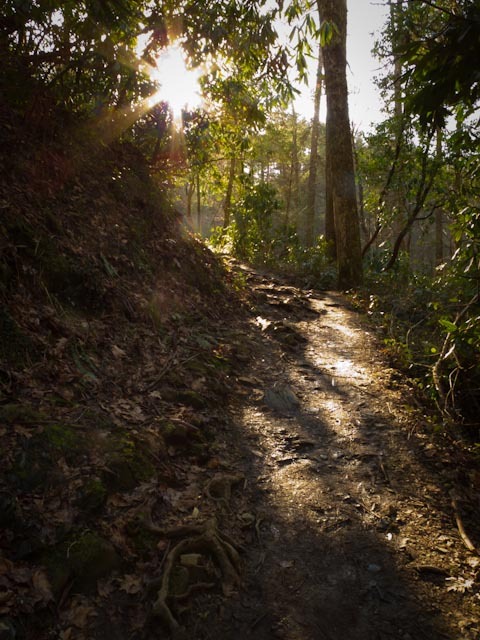 I had not hiked this trail in 17 years and my memories of it were not fond, so I was pleasantly surprised to find that it was not nearly as difficult as I remembered it to be. I still don’t get this because I’m in worse shape and carrying a few more lbs that I was back then. All in all, it was a wonderful day, even if my legs are screaming at me today. Everybody needs time off to play. If you are reading this and wondering how you set your camera to turn the water to silk, here’s the secret. Set your ISO on 100 or your camera’s lowest setting. Shoot in Aperture Priority (or Manual) and set your Aperture to your len’s lowest setting (highest number, ex. 22). 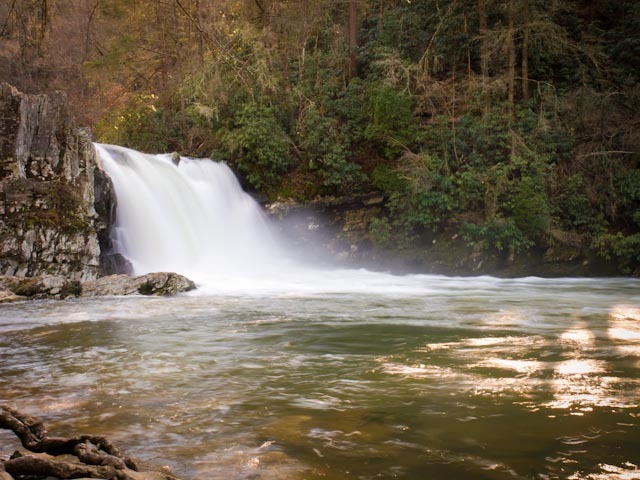 If there is too much light on your subject, try using a Neutral Density filter or a Polarizer if you have one. For best results, you need consistent light on the water, not intermittent beams of sunlight creating high contrast. Since you could have a shutter speed as slow as 2-3 seconds, it is best to use a cable release if you have one or the self timer on your camera if you don’t. This will reduce the possibility of camera shake. All of that said, you must use a tripod for this to work properly. If you are interested, we have a few travel tripods in stock for rent. We also have a new shipment for sale on the way. So, stoke the fires and get out and shoot something just for the fun of it (with a camera that is)! We are so excited for spring and all the color and excitement that comes along with it! A big part of that excitement at f/32 is bunny portraits! So, here are the details!!! Just as soon as we have our set designed and built we will photograph it and our new little bunny and post them to the blog so that everyone will know what to expect coming in! Start booking your appointment today! Call the lab or click the link below to book online! So many of us have great stories of how we fell in love with photography and it seems like the age keeps getting younger and younger. Well for one special little boy in Knoxville not only is his love for photography blooming, but so is his resume! You may remember our facebook post in the fall about a young boy following in his father’s footsteps. Well, he is continuing to follow right along! 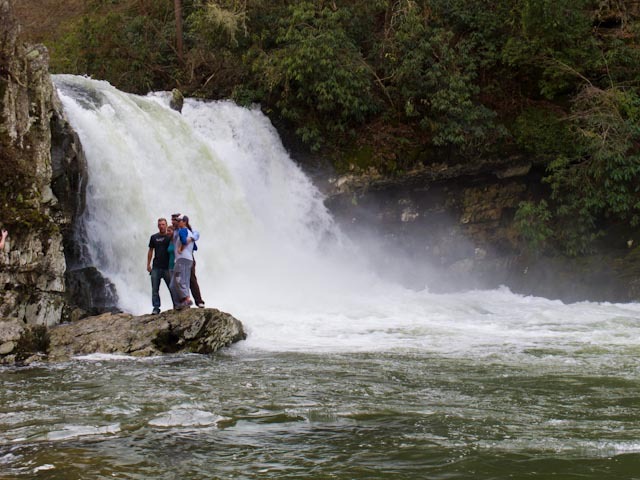 Ryan Davis has recently received an Award of Excellence by the TN PTA for a photo he took of his father, Jason Davis, and his brother Cooper. Only one award is given per category and Ryan took home the one for k-2nd Photography! J. Davis Photography is lucky to have him as an in house second shooter! So congratulations Ryan, as your local lab we are very proud of you and can’t wait to see you develop over the years to come! Another rainy day here in Knoxville, but I have a photo that will make you forget the rain outside and wish that you were taking an evening stroll through downtown! Pro Print of the Week Winner, Jimmy Chiarella of JC Studios, has captured the beauty of our city on a gorgeous night! As the construction on the Henley Street Bridge continues and changes are made it is great to have such a wonderful photo to remember a monument of Knoxville, that will no longer be the same. Thanks Jimmy for sending in your prints and congratulations for winning! There is a lot going on here at f/32 and a lot to be blogged about! Keep checking back for a recap of our trip to WPPI in Las Vegas, details for our live bunny portraits and a new Shutter Speed Challenge! This beautiful sunshine makes me anxious for spring and all of those outdoor portraits and weddings! Pro Print this week will hopefully get everyone excited about the months to come! Congratulations to Photography by Sabrina for winning! 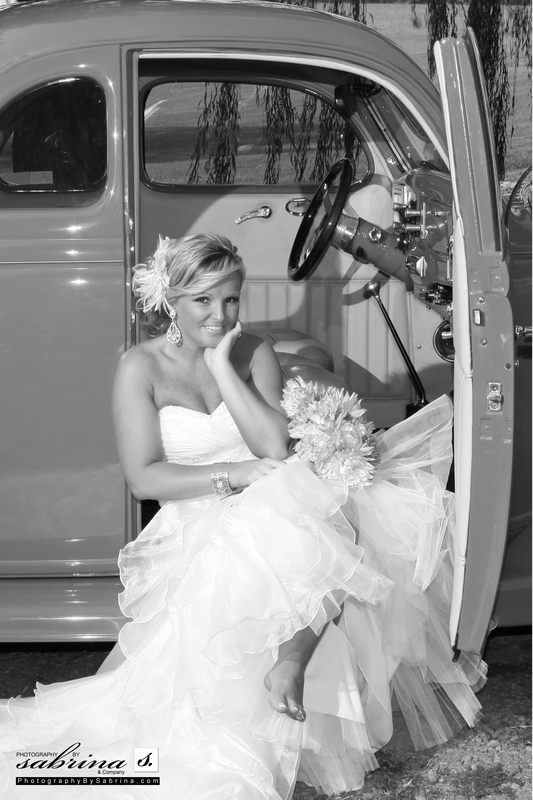 This bride is absolutely stunning on her special day! Keep sending your orders, every week offers a new chance to win! I know a lot of you are eager to hear what we learned at WPPI last week, a blog full of exciting information is to come, so stay tuned! 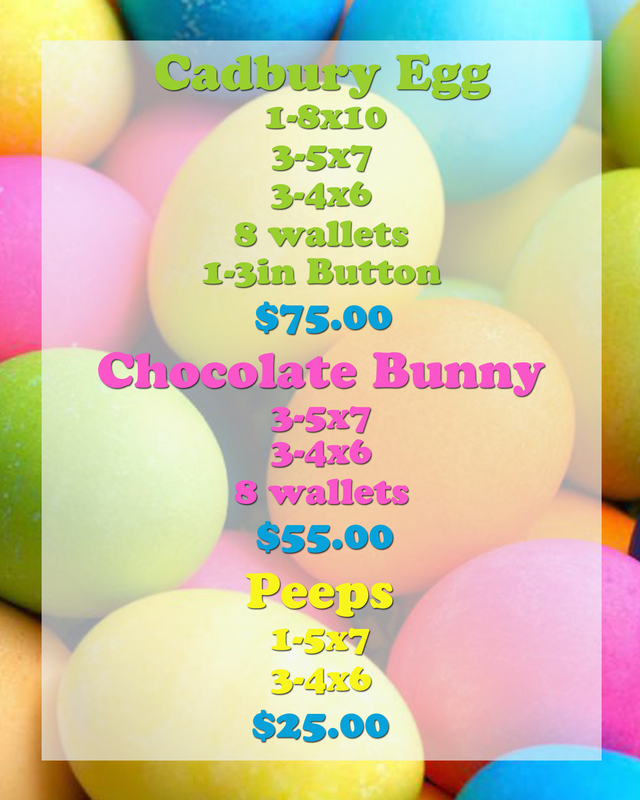 We will also be releasing information about the arrival of the Easter bunny very soon! Until then, happy shooting everyone!